My name is Gordon Swenson I was drafted into the Army on July 21st 1969 and sent to Vietnam in December of 1969. 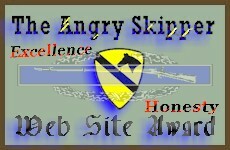 This site started after my viewing of the movie "We Were Soldiers". 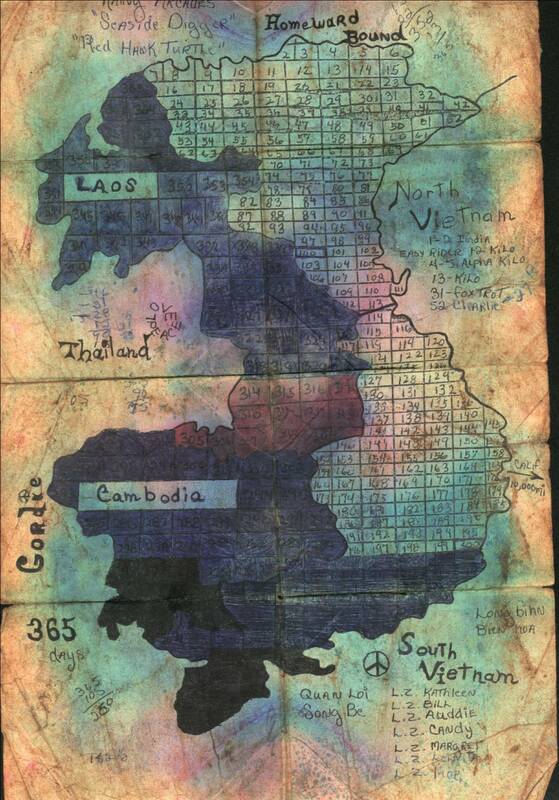 I was web surfing for information and discovered the Texas Tech Vietnam Virtual Archive project. It is hard to describe the feeling of finding your life recorded for you on the internet. Upon arrival in Vietnam I was assigned to D company 1st Battalion 8th Cavalry of the 1st Cavalry Division Air Mobile (D 1/8). These are my recollections of the trip over seas and a brief overview of my time "in country". I have detailed the day to day activities in the portion of this web site titled "My Story". After basic training and Advanced Infantry Training (AIT) in Fort Ord, California, I was granted a two week leave to visit home and prepare to go to Vietnam. I was 19 years old and single, just as most of the guys I was drafted with. After my leave was over, I flew by commercial jet to Oakland, California to the "reception center". The Army then bussed us to Travis AFB. We sat in a large "lobby" area at the airport, with all of our new jungle gear, for quite a long time. We then loaded on to a "civilian" carrier (I think it was something like a "World Airways" jet) that took us to Hawaii, then Manila and finally to Vietnam all of the airport terminals were decorated for Christmas which didn't make the trip any easier. The flight was about 21 hours and took us across the international date line. It was still dark on our approach to landing at Bien Hoa air base located just outside of Saigon, we could see lights below, as we got closer the lights we were seeing looked like explosions. Turns out we were seeing the illumination rounds being shot off on the firebases in the area. Upon getting off the plane (it was still dark) the first thing that hits you is the heat and humidity. Then the smell. 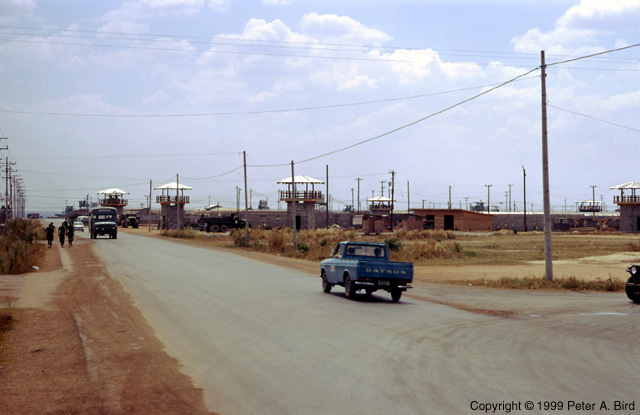 This is a large air base with lots of military trucks (duce and a half) with diesel engines plus, because of the lack of adequate sewer systems, the military used 55 gallon drums half filled with diesel fuel as latrines. These were then burned off to clean them. Needless to say the smell of diesel permeated the air. The whole thing wasn't very inviting. As we go off the plane their were hundreds of guys standing around cheering. They all had this "red" tinge to them! Their boots looked worn out and they looked rough and ragged. But they all seemed so happy to see us! Well Ya! We were the replacements, they were getting on the plane we just got off of to go home after a year of being in Vietnam. 15 Dec 1969 thru 28 Dec 1969: 1st days in Vietnam. I was not yet officially assigned to D 1/8. Myself and the guys I came in with were all assigned to "reception areas" mine was in a place called Long Binh (home of the infamous LBJ jail). During the bus ride to the reception area I noticed that the windows on the bus had been removed and replaced with wire mesh. I asked the driver why this was done and was told that the mesh was to keep the hand grenades from coming inside the bus if we were attacked. The reception area was just a very large camp where we were issued "funny" money, some uniform stuff and basically just rested up. After a day or so I was assigned to the 1st Cavalry and sent to a "reception area" for some 1st Cav training. This consisted of familiarization of the area we would be working in. 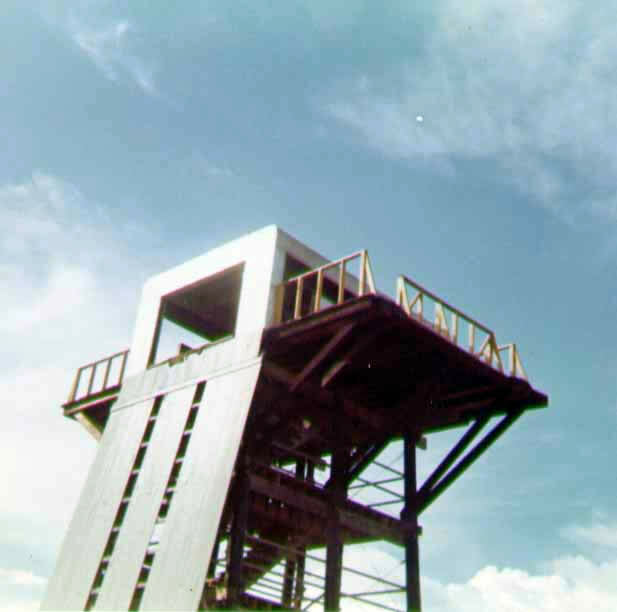 This was when we also got to "jump" off a 50 foot rappelling tower. (and they actually asked if we wanted to do it again!). Here's an article from the "First Team Magazine" written in the summer of 1970 that details some of the things that normally took place. I was there until 28 Dec 1969 when I was assigned to D Company 1 Battalion 8th Cavalry. (D 1/8). My first job with the company was to carry M-60 machine gun rounds for one of the squad gunners in 1st Platoon. (I kind of looked like "Poncho Villa"). After the 1st fire fight I decided this was not exactly what I would call fun! The opportunity to carry a radio for our squad leader came up and that sounded more to my liking. Quite a few others in our platoon said I was crazy to want to carry the extra 20 pounds of radio and have that "great big antenna" sticking up in the air broadcasting "shoot me, shoot me" for the enemy. However I figured if I could get good at it maybe I could get back to the "rear" as a Battalion radio operator. I worked the squad radio only for a few days and then got a chance to work the platoon radio. A few more weeks and then I moved to the Artillery (Arty) radio. The experience working artillery turned out to be invaluable since I HAD to learn to read maps! Progression was fast in Vietnam and within a few more weeks I became the Company RTO (radio telephone operator) and then the field Battalion RTO. With all this experience when we would get into a fire fight everyone would just bring their radios to me and I would coordinate the whole effort. I had received a call about two weeks before I got medevaced out and was told to get ready to get reassigned to the Fire Support Base as a Battalion RTO in the rear. However as fate would have it I slipped walking down a hill in Cambodia, cut my arm (lacerated tendons) and came home. One of the few things I came home with was my "Short Timer" calendar which never got completed (link to calendar). I was sent back through the 249th General Hospital in Camp Drake Japan. This was where the majority of wounded Vietnam Vets were sent to get patched up before they were transferred state side. This is where I really got a chance to see what Vietnam had done to soldiers! Since I was ambulatory I was expected to help out when and where I could. I remember having to help hold some of the others down during bandage changing time. I feel that may have been worse pain for them than the original wound. The screams were terrible. While I was there a couple of us came up with an idea. We had two or three guys that were in full body casts and in traction. They were expected to be there for quite a few weeks before being sent stateside. Anyway we discovered that the ward we were in had great big double doors that opened out to a large grassy area. Since the day we discovered this was sunny we decided to roll them outside to get some sun. Everything went smooth until some of the local Japanese students that were protesting the war spotted us sitting on the front lawn area. We saw the signs and they saw us. Suddenly rocks started flying over the fence toward the guys laying on the beds we had rolled out. Needless to say this was going to be the start of World War Three! The MP's showed up just in time and made us move back inside the hospital ward. That was the last time they let us go outside with the guys in traction. The Doctor who performed the surgery on me only had 23 days left. The first time I saw MASH it reminded me of him. Can't remember his name but he did a great job! My flight home was on a C-141 MAC Cargo. It was full of stretchers, and some seats for ambulatory guys. There were no windows and everything was that military loved color olive drab, but hey we were going home! We landed at Travis AFB in central California, (same place I left from 6 months earlier) at about the time the sun was coming up. They taxied the airplane to the arrival area and turned it so the rear of the plane was facing east, then dropped the cargo door at the back of the plane. Our first sight of the US was of the sun just coming up. I can remember the sound of everyone in the plane giving a sigh of relief. We unloaded and all headed to the mess hall. One of the things we all waited for was the promised "steak and eggs" breakfast when we got "back to the world". We were told that no matter what time of day we would get a breakfast when we landed. Now remember, I essentially had no use of my left hand. As I was sitting there looking at my steak and trying to figure out how I was going to cut it, an orderly walked past and saw my dilemma. He said "hey can I give you a hand with that?" I told him no he could keep his hand, just help me cut the steak! The next day they bussed us down to Fort Ord to the Army hospital. My first leave came on the weekend of the 4th of July. I can remember hanging out with the guys I went to school with, trying to get back into the normal life of a civilian. I was standing next to a guy that I had grown up with and felt as though he was "family". Since it was the 4th he decided to throw a firecracker. I didn't see him do it and when it went off, I hit the ground. I remember everyone laughing at me ducking for cover. I jumped up, grabbed my best friend by the neck and told him if he ever did that again I would kill him! It really shook him up. I know he didn't have any idea what my reaction would be, but I can tell you he never threw another firecracker! I later apologized to him, but I know he didn't understand my reaction. In another instance, during the time I was at the hospital at Fort Ord, I was driving along Highway 1. This is on the coast in the Monterey, California area. All of the firing ranges are located along the beach with the main highway running parallel. Suddenly one of the rifle ranges started firing. I remember actually ducking inside my car. Luckily I didn't have an accident. It look years to get to the point I wouldn't duck when a loud noise happened. Every soldier that was in Vietnam has a different view of that part of their life. The sights and sounds effected everyone in ways that sometimes cannot be told. I have talked to guys that were there that just don't like discussing details, others are more than willing to discuss their experiences. I guess the thing to remember is that everyone's time in Vietnam was personal. We were all very young and saw and did things that people back in the world just could not understand. We came home to a country that was opposed to what we were doing there and we just tried to "fit in" again. We all just wanted to get "normal" again. Some of us did, and some didn't. However ALL of us will never forget! As hard as we try, we never will forget! The details happened long ago and names and places escape us. This project has jogged my memory about a lot of things that took place. As you read through this site please remember all of us have different stories. Even the guys that I was with. Vietnam was a very large country, about the size of California. There were mountains, jungles, oceans, islands, swamps, marshes, grassy areas, rocky areas, weather that was hot and dry, then the other half of the year WET. Monsoons where it rained all day and all night. One thing I can say for sure was I never saw snow! As you read other stories about soldiers in Vietnam, remember one thing. The guy on our left and the guy on our right would have given their lives for us and we would have done the same for them. It was the only way we could survive. Perhaps this is reason Vietnam Vets have such strong feelings about their experience. This is the part that others can't seem to relate to. I get a very warm feeling seeing our troops returning from Iraq. The country is welcoming them back in a way that I am proud of. However I am saddened by the fact that so many Vietnam Vets never got that. We just walked back through an empty airport and tried to get that uniform off as soon as we could. We knew we weren't welcome. In fact it was just this year (2003) that a guy I work with realized I was a Vietnam Vet and actually stopped to say "Thank you" for what we did. Thirty Three years later, but it really meant a lot! The following information is a record of my time in Vietnam.